This is a review of the Osprey Publishing LTD book US Army Paratrooper In The Pacific Theater 1943-45 by author Gordon L Rottman and illustrator Brian Delf with consultant editor Marcus Cowper. Osprey Publications Ltd has released US Army Paratrooper In The Pacific Theater 1943-45 as Warrior 165 in their Warrior series. It is a paperback book with 64 pages. Included with the text are black and white and colour photographs, colour illustrations, informational charts and detailed captions. It has a 2006 copyright and the ISBN is 978-1-78096-129-3. As the title states, the book covers the US Army Paratrooper in the Pacific Theater during WWII. The text in the book is well written and extremely detailed. Gordon L Rottman covers the United States Army Paratroopers serving in the Pacific Theater during the years of 1943 to 1945 during World War Two very well and goes into great detail in the training and the military actions that they were involved in using both archived history and personal accounts from paratroopers of the period. Also covered in the text are the uniforms, weapons and equipment and web gear used by the paratroopers. 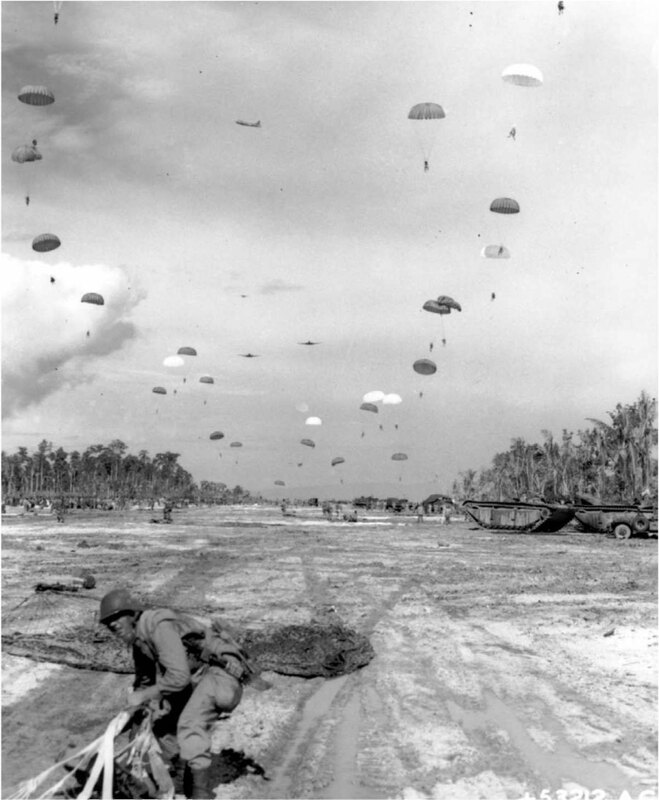 This is a well written history that will be of great use and interest to the well-seasoned and knowledgeable United States Army World War Two Paratroopers historian or the individual that is new to the United States airborne actions in the Pacific theater and wants to learn about its history. As I read through the text I didn’t notice any spelling or grammatical errors. Grammar and spelling might not be an important factor to everyone however it is something that I take notice of and pass on my findings. I feel that if the text is well written then it shows that the author has taken the time to be a professional with their writing. Anyone wanting to add an excellent reference and history book on the United States Army Paratroopers serving in the Pacific Theater during the years of 1943 to 1945 to their personal library will be pleased with this book and will find this book very informative and interesting. -	A section describing the various dress uniform items details how the glider and parachute patch that the troopers wore on their garrison caps were large enough to sew a US silver dollar under so that it would make the cap fit firmly but jauntily when worn, to be used as emergency money or used as a weapon if involved in a bar altercation as the coin weighed 26.73 grams, almost an ounce. -	Paratrooper Deane E. Marks of the 2/511th goes into great detail of the contents of the K rations and how to prepare various recipes from the food items contained and also described the other contents and their uses. There are a total of 51 black and white photographs and two colour featured photographs throughout the book. 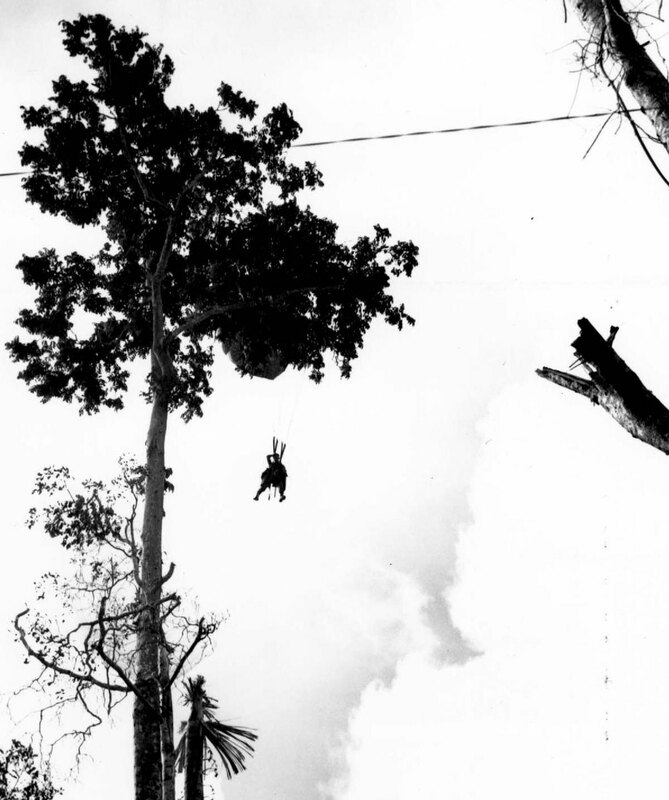 Gordon L Rottman has stuck to the title of the book and chose photographs that are specific to the United States Army Paratroopers serving in the Pacific Theater during the years of 1943 to 1945 during World War Two and did not include photographs that strayed from the main subject of the book. The majority of the photographs are nice clear, centered and focused images, however there are a few that have an out of focus look to them and some appear to be too dark. With that said the quality of the blurry photographs is of no fault of the author and do not take anything away from the book. I haven’t seen a majority of the featured photographs before, if not all of them, and I was pleased with this. Many of the photographs provide several close-up details on items such as uniforms and web equipment. There are seven colour illustrations by illustrator Brian Delf. There are informative captions that accompany the illustrations that detail the various training items at jump school, weapons, gear, equipment, uniforms, unit insignia, dates and locations and other such items shown. The military scale figure modeller will find the detailed illustrations very helpful for detailing purposes. While going through the illustrations to list them I did discover a mistake. They are listed throughout the book starting with the letter A and ending with H. However as I was making the list I noticed that there is no illustration which would have been F. I am not sure what happened but it is a mistake, even though it is a minor one. The captions that accompany the photographs and the illustrations are well written and are very detailed. They give very specific information as to locations, individuals, uniform items and weapons shown. As with the text I didn’t notice any spelling or grammatical errors I read through the captions. As I stated before, grammar and spelling might not be an important factor to everyone however it is something that I take notice of and pass on my findings. Please refer to the scans that I have provided so that you can judge the captions for yourself. All in all I am very impressed with the book. This is a very nice reference book that contains many excellent and subject specific photographs and illustrations and well detailed captions. It details the United States Army Paratroopers serving in the Pacific Theater during the years of 1943 to 1945 during World War Two very well. This volume will be of interest and also beneficial to the military uniform and equipment collector, military re-enactor and weapon enthusiast and anyone interested in United States Army Paratroopers during World War II or the fighting in the Pacific Theater. There are no maps provided in this volume and personally I would have liked to have seen some maps provided to show the units movements during its various actions, but that is just personal wish. I would have no hesitation to add other Osprey titles to my personal library nor would I hesitate to recommend this book to others as it will be a welcome addition to one’s personal military reference library. Osprey Publishing has US Army Paratrooper In The Pacific Theater 1943-45 available as a PDF eBook and as an ePub eBook as well. Verdict: This is an excellent reference book of the United States Army Paratroopers serving in the Pacific Theater during the years of 1943 to 1945 during World War Two. Nice review, Randy. 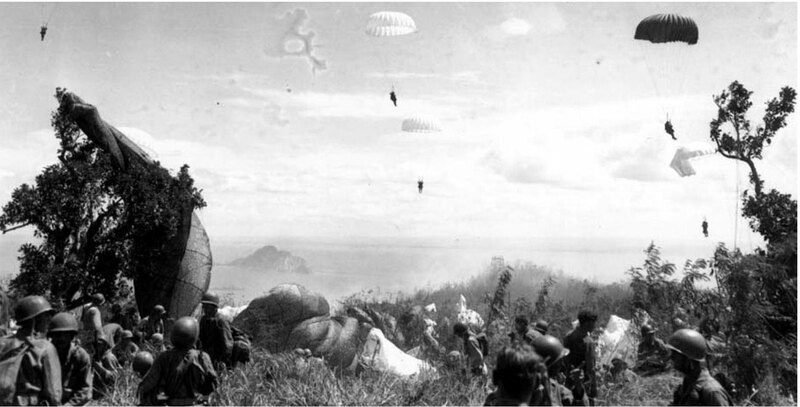 It is nice to see a good reference on the airborne forces in the Pacific, considering how much they did there. Action in Noemfoor. 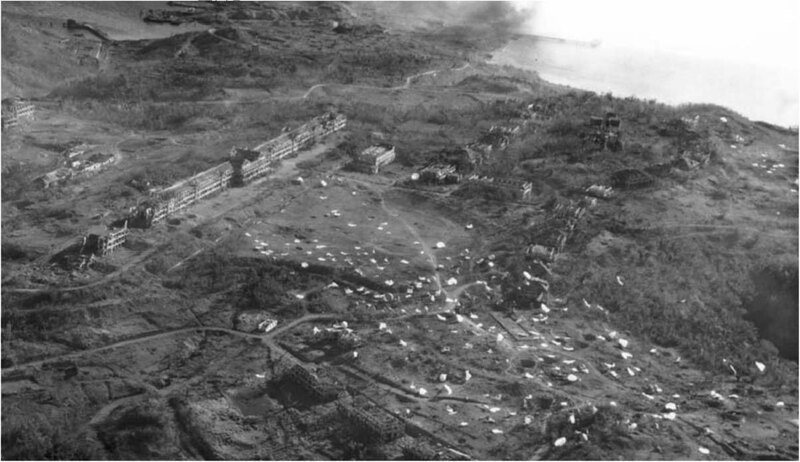 Corregidor All the white dots on the cliff are parachutes. Way back in my Freightdog days I flew with 5th A.F. C-47 pilot who dropped the paratroopers on New Guinea and Corregidor. 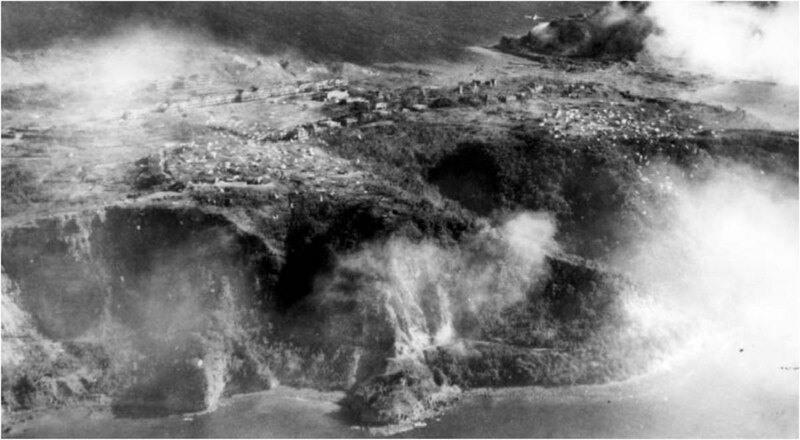 IIRC, he said the wind at Corregidor should have scrubbed the mission. After the war he flew for Delta until retiring in 1968. He was in his late 60s - early 70s when we flew together and he could still run and vault himself up onto the wing of our DC-3 without a ladder! Sharp as a tack. Lost contact with him about 20 years ago. Fair winds, Stan! The photo 'Noemfoor. ", think that's MacArthur B-17 circling?